Organic Sales: We figure this for the whole store on the basis of what we purchased rather than what we sold because every department has a variable margin. So, 52% of the dollars spent on the cost of goods was used to purchase organic products. In the produce department, 99.5% of the products carried are Certified Organic. We are also the first, and only, Certified Organic Retailer in our region. Oregon Tilth is our certifier. Annual Sales: $29 million in 2012, on track for $30 million in 2013. 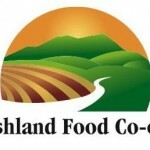 Ashland Co-op has undertaken a vigorous audit of its products by calling and emailing those producers whose labels were non-specific on GMO content to request GMO free verification. The store’s Product Standards Committee has identified 66 products and product lines that have been discontinued due to GMOs in the first three ingredients on the ingredient panel. Some lines have been replaced with organic versions. Fewer than 10 discontinued products have been granted exceptions due to customer demand. Those products have a Product Standards Alert sign at the shelf defining their exception to our Product Standards guidelines. Non GMO Project Verified products have shelf tags to identify them. Product alerts are attached to products that contain suspect ingredients (including many popular ones) and products are discontinued as sales drop. The Product Standards committee has been rewriting its policy and is waiting for the management team to approve new language. The committee is looking at ways to align with and add to AFC’s policy in light of the new National Cooperative Grocers Association’s recently announced New Product Guidelines. These require that any product considered for the New Product promotional program must be Non GMO Project Verified to be eligible. It is AFC’s ultimate goal to be 100% GMO free. We support the mandatory labeling of all GMO ingredients because everyone has the right to choose non GMO food.